Health Benefits of Grapes Explained: Super Food or Superfluous Food? Home | Natural Ingredients | Health Benefits of Grapes Explained: Super Food or Superfluous Food? What are Grapes? How Are they Grown? Grapes have been an integral part of our diet and beauty regimens for thousands of years. It is estimated they started being cultivated around 8000 years ago. This makes them one of the oldest known cultivated fruits since human beings became an agrarian species. On top of being an important factor in shaping the economies of early societies, grapes were also very important religiously. Grapes and their derivatives (namely wine) were used in religious ceremonies and spiritual practices. Additionally, grapeseed oil, a derivative of grapes has been an essential beauty elixir since time immemorial. Today, the grape and wine industry have become a worldwide phenomenon. 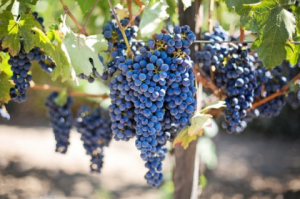 The global market is currently expected to grow to around $385.2 billion by the year 2021, with current grape production listed at around 72 million tons annually. However, this fruit isn’t merely a sweet natural treat; in fact, their are many health and beauty benefits. Drinking a glass of red wine a day, or eating grapes on a regular basis can do wonders for your health as well as helping to prevent the onset of a variety of diseases and illnesses. A Beautiful Cluster of Grapes. A grape is essentially a berry that forms on a vine. These “berries” grow slowly and take a long time to mature to the point where they’re suitable for commercial uses. On average, once a vine is planted and attached to the structure that it grows on, it takes roughly 2-3 years for the berries to be considered viable for use. Grapes tend to prefer areas with large amounts of direct sunlight, however, depending on the variety of species at hand, these variables may differ somewhat. There are around 600 different species of grapes that are known to us at present. Each one requires slightly different conditions in order to thrive. Some species prefer higher altitudes, warmer climates, and slightly more acidic soils. Still, others enjoy a more coastal, low-lying altitude and climate, with more alkaline soils. There are many factors that determine if a particular variety of grape species will thrive or not. It is important to take these factors into consideration before the cultivation process begins. Historically speaking, grapes are thought to be native to the middle eastern region. However, they have also been found in parts of Eastern Europe as well as North America and South America. They have also been found in South Africa. However, many of the grapes that are grown in these regions today are not native. They have been imported for commercial purposes. Today, grapes are the single most cultivated fruit in the world and it doesn’t look like that’s changing. The Antioxidant Effect of Grapes Explained: Why Drink Wine? Wine Has Many Health Benefits. One of the reasons that grapes and wine are touted for as being so good for your health is because they are loaded with natural antioxidants. Antioxidants are good for your body because they help to restore and replenish essential cellular compounds in our body. Keeping the cellular processes working at optimum levels is essential in regulating the multiple systems that allow us to remain healthy. Some of the antioxidants found inside are Stilbenes (resveratrol, piceatannol, pterostilbene), Flavanols (catechins, epicatechins, procyanidins, proanthocyanidins, quercetin, kaempferol, myricetin, isorhamnetin and viniferones). Phenolic Acids as well as naturally as beta-carotene, lutein and zeaxanthin are also contained within. All in all, grapes are a tasty and potent natural detox agent. Antioxidants also help to prevent the damage caused by free radicals. These are hydrogenated molecules that are either formed in our system through the digestive process. Consuming things such as alcohol, oily or processed foods, and cigarette smoke can increase free radical formation. These molecules can also enter our bodies through a variety of different atmospheric pollutants, in particular toxins in the air caused by chemical pollution. 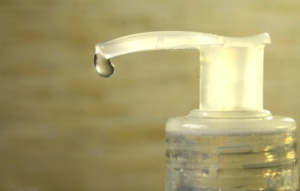 Interestingly, the use of certain topical cosmetics or skin care products can contain harmful chemical ingredients. These include makeup, cleaning products and a variety of other personal products such as deodorant. Drinking wine or eating grapes introduces a range of healthy and natural antioxidants into our system. These help us to prevent the spread of free radicals and help deter the harmful, cancer-like effects of these molecules. Free radicals work by bonding with existing molecules and compounds in our body or by ‘absorbing’ a molecule from them. Once a molecule has been absorbed by the free radical, that chemical compound now becomes a free radical unto itself, and goes off to find another molecule to replace the one lost, and so on. This process leads to a downward spiral of continuous absorption. This is extremely harmful since your body needs a balanced amount of molecules in order to function correctly. Antioxidants have the opposite effect and work by absorbing the free radicals themselves, allowing your body to flush them out naturally as part of the digestive process. This allows you to keep your immune system healthy while strengthening your body’s resistance to free radical overpopulation. Grapes Help Your Skin and Hair Look Radiant. Besides direct exposure to the sun, the most common reason for early signs of aging is free-radicals. While the aging process is a natural part of life, free radicals tend to accelerate the aging process. Using antioxidant-rich products helps to prevent premature wrinkles, fine lines while helping to keep skin firm and supple. The high amounts of resveratrol and proanthocyanidins found in grapes help to prevent skin damage from the sun and act as a natural sunscreen when applied topically. By wearing a light, natural sunblock on a daily basis, as well as a hat, you can do a lot to help prevent a significant amount of skin damage over the course of your life. Grapes also contain a surprising amount of vitamin C, which makes them great for increasing and supporting collagen synthesis for supple skin. Collagen helps our skin protect itself from harmful UV sun rays and environmental damage. This helps prevent skin sagging later in life or as the aging process continues. Collagen is often touted as being an essential component of skin care treatments. Ironically, many of ingredients in skin care creams and serums contain a vast array of other harmful chemicals that often tend to worsen the effects of aging. The vitamin C in grapes is a natural way to keep your skin glowing and youthful. 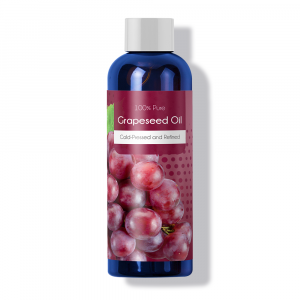 Grapeseed oil is ideal for strengthening, nourishing and conditioning your hair as the oil is rich in linoleic acid. This compound helps increase hair strength and promote faster hair growth. Vitamin C and E also help to strengthen your hair from within and helps in hair regrowth. They retain the moisture in your hair follicles, allowing for stronger, more supple hair. Free radicals not only accelerate the signs of aging, they are also linked to cancer. High levels of stress, poor diet, bad sleeping cycles and harmful chemicals in our system increase the risk of this disease. In order to combat this, you may need to reassess your lifestyle and make some changes. Preventing cancer is a lot easier than treating it. The antioxidants in wine (or grapes) is particularly effective at reducing the number of free radicals that occur in your system. 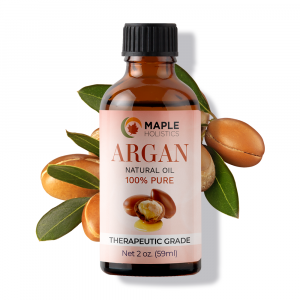 This helps prevent the onset of cancer by aiding in the apoptosis of harmful cells. They do this by strengthening your body’s natural immune system. A healthy immune system allows your body to produce enough white blood cells to keep itself in check. 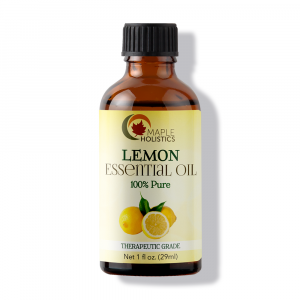 This helps in preventing the onset of infections, diseases or an excess of free radicals. However, it is important for me to stress that there is no single-option approach to preventing the onset of cancer, or treating it yet – especially when considering the issue holistically. Making the necessary changes to one’s lifestyle and diet is imperative to preventing the onset of this horrible disease. But treating it is even more of a multi-faceted process. There is a high amount of naturally occurring phenols, flavonoids, and vitamin C in grapes. This means that grapes actually have antibacterial benefits and can help treat a range of topical skin issues. 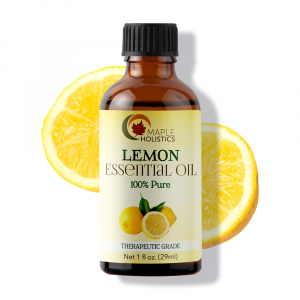 These antibacterial properties help to kill off irritating germs and bacteria. Grapeseed oil is a great way of extracting these benefits for the skin. 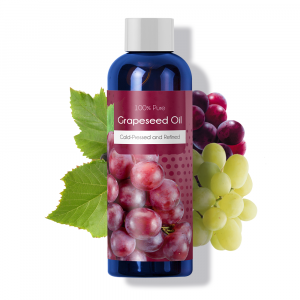 Grapeseed oil is frequently added to a variety of different skincare and haircare products. This is because it not only helps to nourish the skin but helps improve skin cell regeneration. This oil can additionally help to protect your skin by keeping bacteria at bay. Grapeseed oil can be produced in abundance quite easily, making it a relatively cheap antibacterial agent that has far fewer harmful side-effects. This makes it ideal for people with sensitive skin or simply health conscious individuals. Alzheimer’s caused by the build-up of free radical molecules in the brain which induce oxidative stress on our brain cells. This ultimately reduces our brain’s capacity for cognitive function over time. These tasty little morsels contain a wide range of vitamins, nutrients, and phytochemicals that are necessary for healthy cognitive brain function. Consuming them can strengthen your bodies ability to deter the onsets of degenerative brain disease such as Alzheimer’s. Some of the nutrients found in grapes that are beneficial for reducing oxidative stress are vitamin C and K, copper, potassium, thiamine, riboflavin, vitamin B6, manganese, stilbenes, flavanols, and catenoids. These nutrients help flush out free radicals more effectively. Thus reducing the amount of oxidative stress that we place on our bodies and later our brains. Keeping free radicals at bay helps ensure the brain will receive and retain enough oxygen to function at optimal levels. Including high levels of antioxidants in your diet helps boost cognitive function and prevent the onset of Alzheimer’s. Grapes are ideal for those seeking to lose weight as they contain very low GI rating and high levels of naturally occurring sugars such as fructose and sucrose. This means that you can comfortably snack on them without worrying about adding additional weight to your body. Adding grapes to a healthy weight loss diet could very well help accelerate your results. 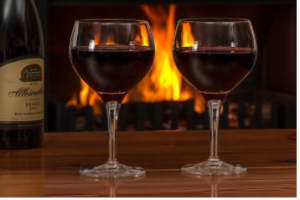 Drinking wine on a regular basis has been known to help keep the blood thin. It also balances out the amount of sucrose and fructose. This is important in preventing health ailments such as diabetes and stroke. 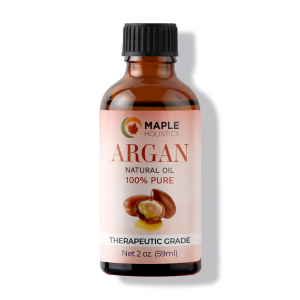 Not only does this help to reduce our blood-sugar levels, but it also helps to lower overall cholesterol levels, leading to a healthier heart. Grapes have also been shown to reduce insulin resistance in both men and women. This makes it easier for your body to process sugars and will decrease your chances of developing type 2 diabetes. Grapes Vs Raisins Which Is Better? When we dry grapes, we get raisins. Raisins have loads of health benefits, but they differ slightly from grapes. Grapes contain more water and therefore deliver more antioxidants to the digestive system. 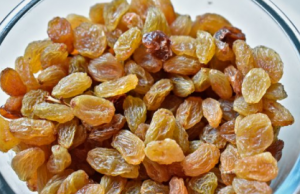 However, because there is almost no water in raisins, the antioxidant properties are more concentrated. Raisins are a good source of fiber, potassium, and iron, while grapes will give you more of an energy boost and can be a good way to add water, and nutrients to your diet without gaining weight. Grapes also contain a higher amount of resveratrol which is a key youth and healthy preserving antioxidant. Whether you should eat more grapes or raisins really depends on your own particular dietary needs or concerns. Ultimately the difference between the two isn’t so great – it’s really just the water content. Grapes are an integral part of our society and culture, but they’re also a tasty and healthy way to ensure that we remain in the best health for a long time. You can gain the health benefits by drinking wine, grape juice or simply eating grapes and raisins. So, if you’re worried about Alzheimer’s later in life, need to watch your weight or watch out for diabetes or simply want to improve the quality of your skin and hair, grapes are a dietary essential.